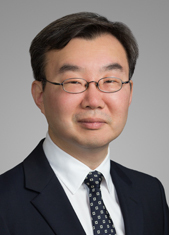 Bill Lee is an associate in the Capital Markets Group in Cadwalader's New York office. Bill practices in the areas of structured finance, securitization and derivatives, advising issuers, arrangers, asset managers and institutional investors in connection with collateralized loan obligations and commercial mortgage backed securities transactions. Bill also has extensive experience in credit, interest rate and foreign currency derivatives, repos, securities lending arrangements, to-be-announced mortgage backed securities and total return swaps. Prior to joining Cadwalader, Bill worked at the bankruptcy estate of Lehman Brothers Holdings Inc., advising on the application of bankruptcy law to the termination and close-out of derivatives transactions. He has participated extensively in the Lehman bankruptcy litigations and alternative dispute resolution proceedings. Bill has also held positions on the business side at Barclays Capital in its risk finance and credit derivatives businesses, and in the office of general counsel at Merrill Lynch, covering the cash, synthetic and hybrid collateralized debt obligation, bond repackaging and credit-linked note businesses. Bill received his J.D. from the Boston University School of Law and his A.B. from Harvard College. He is admitted to practice in the State of New York.